So much was seen and accomplished this week. On Tuesday, we visited a Laiki in the city of Athens and were each given the opportunity to buy some fresh produce from a vendor. While there, I was able to purchase some delicious cherries and strawberries, while the purchases of some of the other students included nuts, peaches, watermelon, sunflowers, and even some fish! That same day, we were fortunate enough to be invited to the home of ACG’s president for a lovely reception in our honor. It was nice being able to meet and converse with the president of the university. 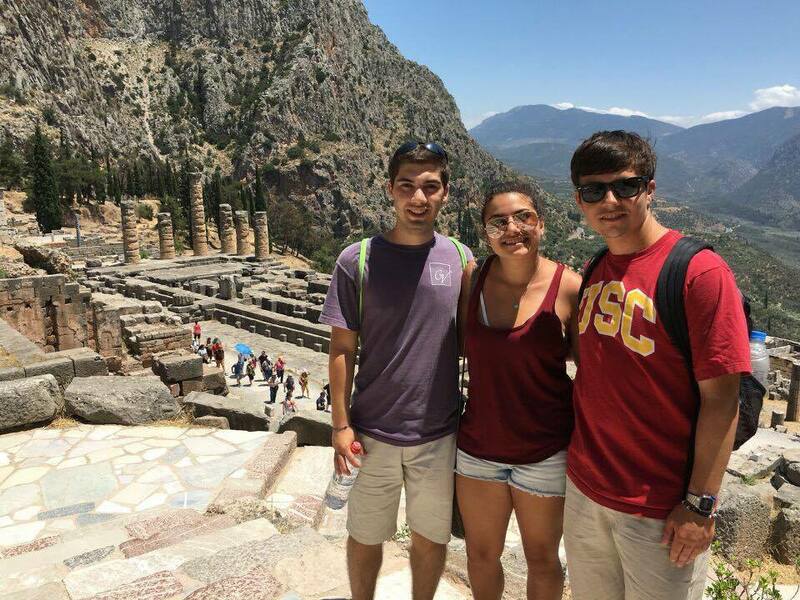 This past Friday we were fortunate enough to be able to visit the archaeological site of Delphi. 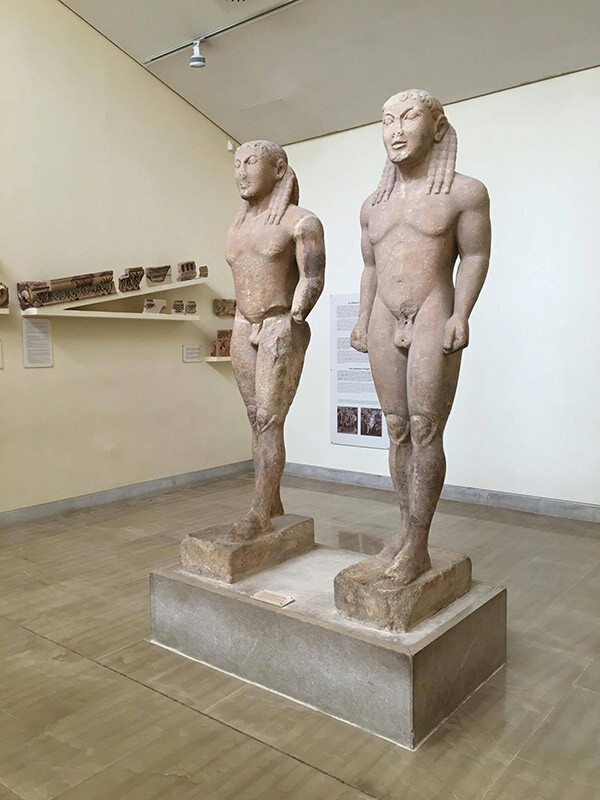 Seeing all the beautiful pieces discovered there during the museum tour and walking through the winding path of the city itself, I imagined how beautiful it must have been to stroll through the ancient city of Delphi. It also amazes me how much archeologists were able to uncover from a city that existed so long ago. These shared memories are but a fraction of all that we participants have experienced both over the course of these last few days and throughout the entire program. 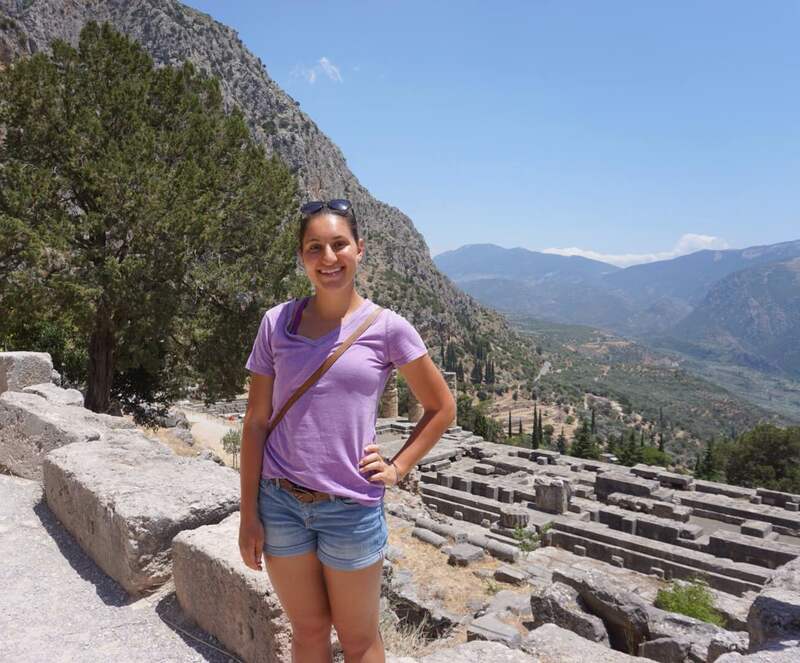 I can confidently say that the Heritage Greece program was a life-changing experience for everyone involved. Overall, I cannot thank the National Hellenic Society and the American College of Greece for the opportunity to be a part of such an unforgettable experience. 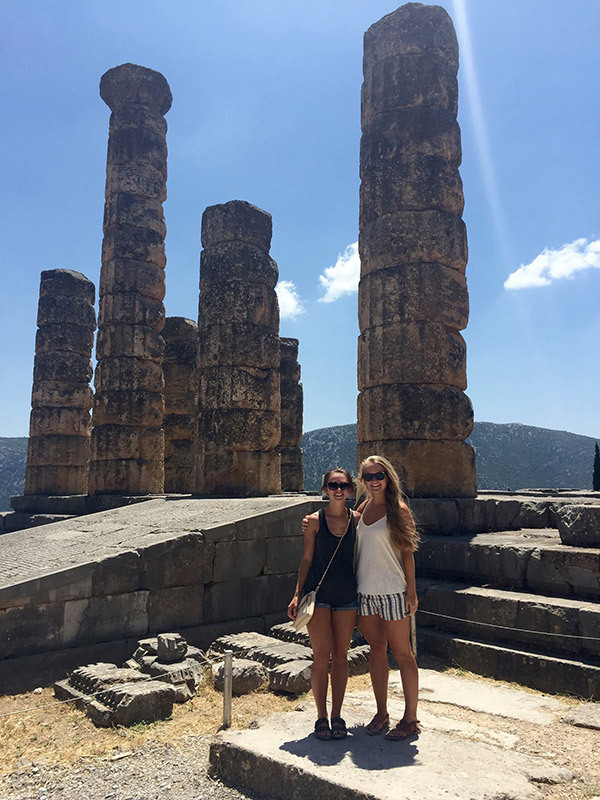 I have learned so much about Greek history and culture, in addition to foraging lifelong friendships with Greek and Greek American students alike. One thing I can say with complete certainty is that I will be back, and soon. By the end, it felt like the program lasted 2 days but at the same time 2 months and it feels as if the whole team has known each other for 2 years. I knew one of my roles was there to offer my knowledge and insight but I never knew I could also learn so much. Looking at things I used to think were mundane, as in the laiki, from the participants’ eyes was unexpectedly a completely different experience and reminded me to be grateful and always look at things with wonder, as they did. 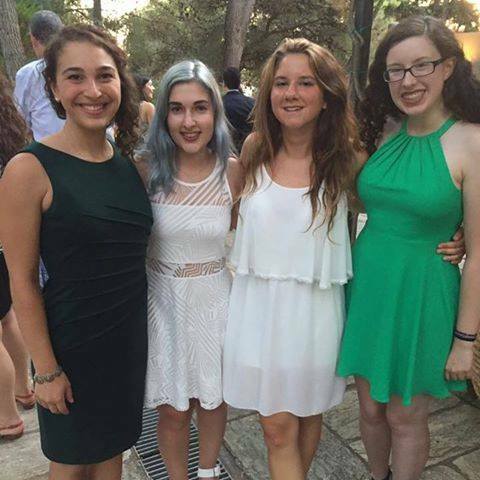 It was gratifying to see the participants trying so much to immerse themselves in Greek culture and have so much fun doing it. It was a tiring program but with lots of laughs for the duration, friends made for life, new experiences to always remember and tears at the end when it was time to say goodbye. 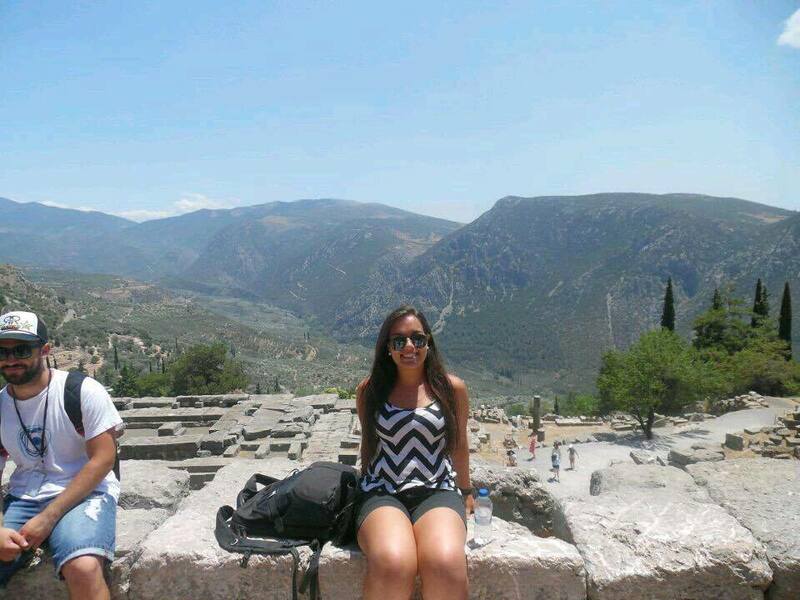 Going to Delphi was amazing. It always bewilders me when I come to ancient ruins. The sheer strength of the pillars and structures to hold over thousands of years is spectacular. Then you start to feel all of the history behind the ruins from the theater to the Stadium. The best part was the fact that all of this was at the center of the world and more importantly center of the Greek connection between the city states. Today we went to Delphi and it was absolutely breathtaking. The beautiful drive there was filled with rolling hills and goats. When we finally got to the ruins I was stunned. It baffles me how well preserved things like the Temple of Apollo are. I wonder if any of my Greek ancestors came to Delphi during it’s peak! 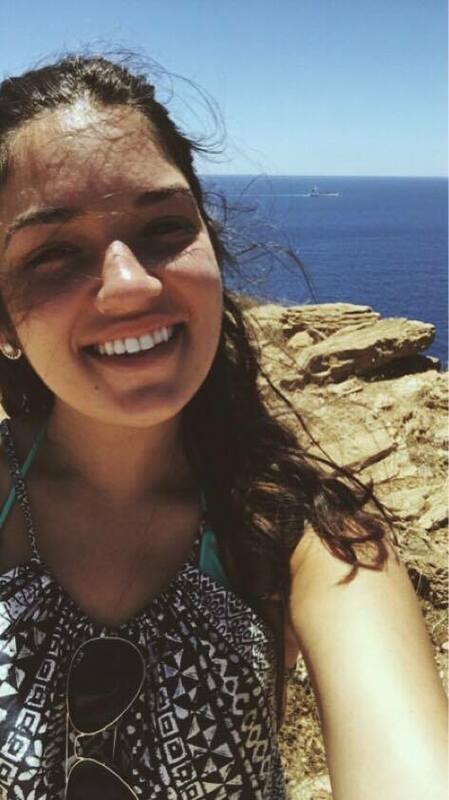 Annemarie Paravalos, What a journey so far! 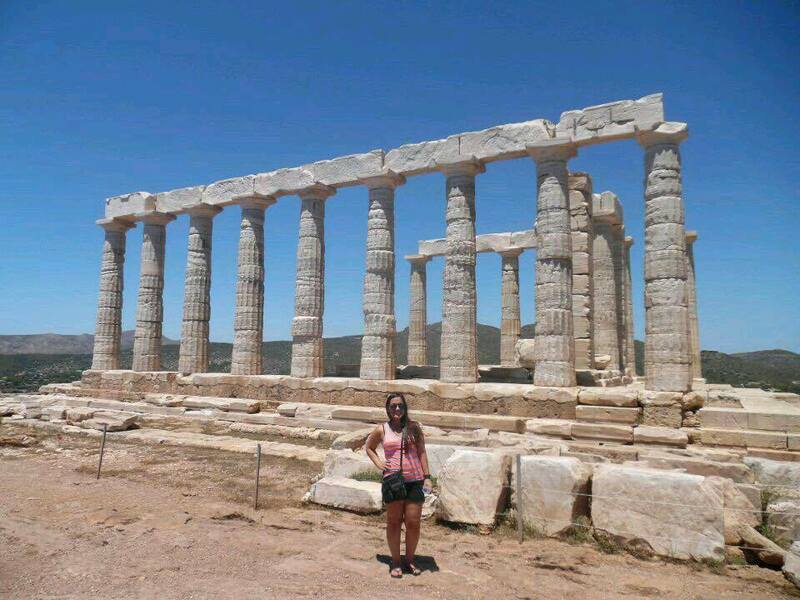 It’s been a week since I started my Heritage Greece journey and I’ve truly enjoyed every moment! 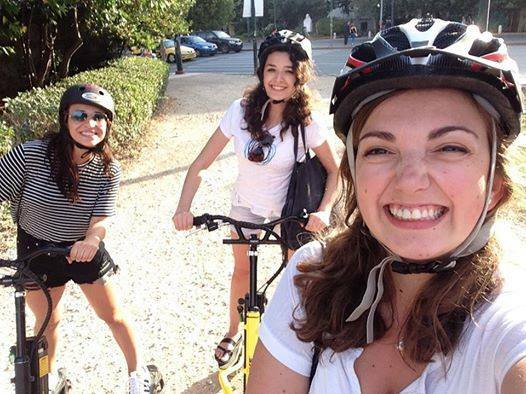 The excursions throughout Athens have been incredible, my favorite being at Sinuous where this photo was taken. The views were breathtaking. Meeting students my age that live in Greece has been another awesome part of this trip because they have all been extremely friendly and open. I have learned a lot from them and it has helped me understand my Greek identity even more than before. I’m excited to continue this adventure and forge many more relationships with both the Heritage Greece members and ACG peers! Today, on the gorgeous island of Crete, we visited the Elafonissi Beach. As many may not know, this beach was ranked as the 10th best beach in the world by TripAdvisor. Nobody wanted to leave but unfortunately there are only so many hours in a day. After the beach, the group and I made our way to the Manousakis Winery, which is right outside the village of Votalakkos. We toured the winery and taste tested 4 different wines. The winery itself had beautiful scenery and was an excellent spot to sit outside taste testing wine. I spoke briefly with the owner of the winery, Alexandra Manousakis,(don’t quote me on the name, I’m not sure if that is correct) who told me what it was like to run one and be a part of something not too many people get to experience. She said it is a wonderful time and takes a lot of effort, but at the end of the day it’s always worth it. Overall, I thoroughly enjoyed my time on Crete and it definitely was the highlight of the trip so far!